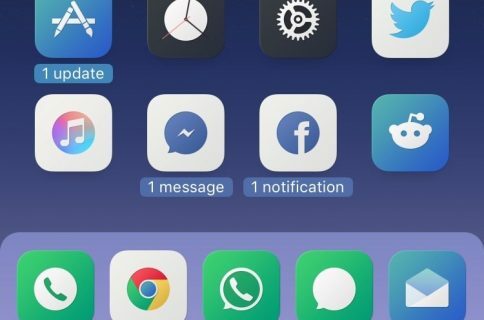 Confero is a brand new jailbreak tweak that helps you to clean up the iPhone’s SpringBoard by eliminating (or at least lessening) the red notification badges. Many find such badges, which sit in the upper right-hand corner of an app with pending notifications, to be an eyesore. Confero is a viable solution for getting rid of said badges. After installing Confero, you’ll need to venture into the stock Settings app to configure its preferences. I have to say that I’m mighty impressed with Confero’s preferences. The settings for the app are clean, intuitive, and just a little bit flashy. Watch our video walkthrough above to see what I mean when I say “flashy”. The basic premise behind Confero is to hand off the responsibility of managing notification badges to a separate entity. In this case, the Confero folder, which is accessible via a tap on the Confero icon in the iPhone’s status bar. 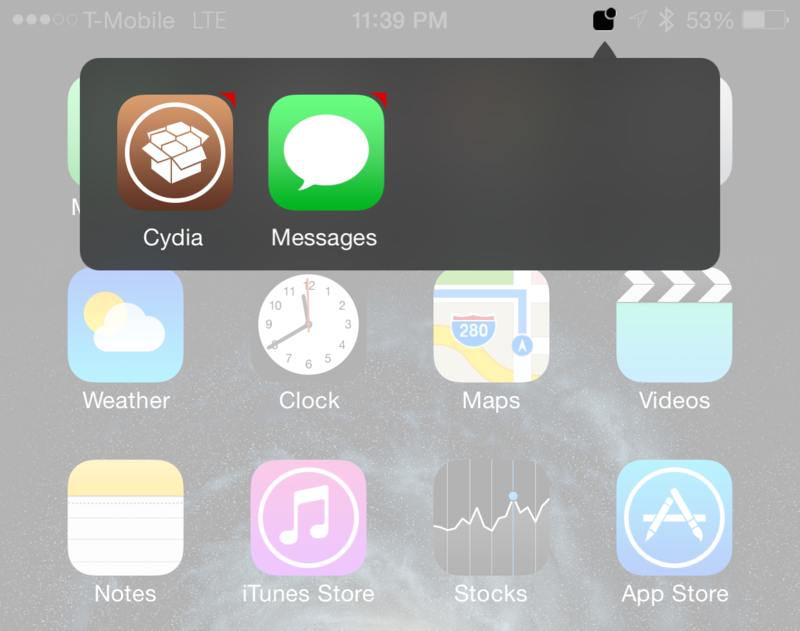 You can also access Confero by mating it with an Activator gesture in the tweak’s preferences. 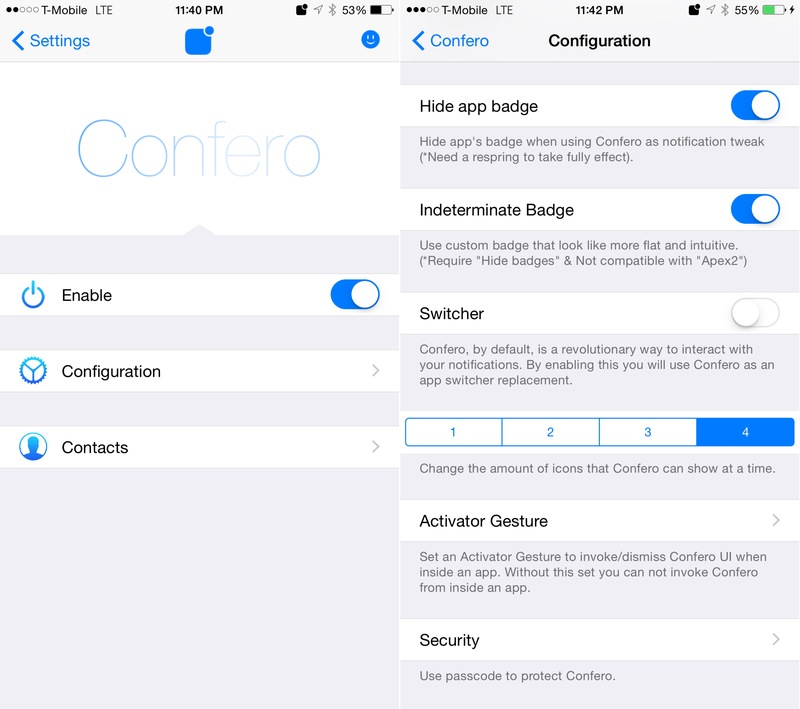 When you open up the Confero folder, you’ll see an app icon for every app that features pending badge notifications. If you choose not to enable the so-called indeterminate badges—which cause badges to loose their spherical share in favor of a much more indiscernible badge sans a number—you’ll see the same indeterminate badge in the Confero folder. This is one of my main gripes with the tweak. In my opinion, the Confero folder should always, or at least have the option to, show full badge counts even while Indeterminate mode is active on the Springboard. There are, of course, other settings that can be configure via the tweak’s preferences. There’s even a way to make Confero work like an App Switcher if that happens to be a desire of yours. After using the Confero App Switcher, I have to say that it’s much more of a novelty setting than something you’d actually want to use day in and day out. My biggest complaint with Confero is how the tweak handles the dismissing of badges. Via the Confero folder you can use a tap and hold or a swipe gesture on an app icon to “clear” badges. But this is a bit misleading, because the badges are still there afterall. This tweak really reminds me of another tweak—called Badger—in this regard. It has a lot of bells and whistles, but the underlying badge management is a bit misleading and/or confusing, which lends to a disjointed and perplexing experience at times. Do I like Confero? Yes. Do I think it’s a great idea? Definitely. But at this point it needs a bit more work before its ready to fully live up to its potential. If the developers removed some of the unnecessary features and focused their energy solely on what makes this tweak unique, I think that could be a recipe for success. 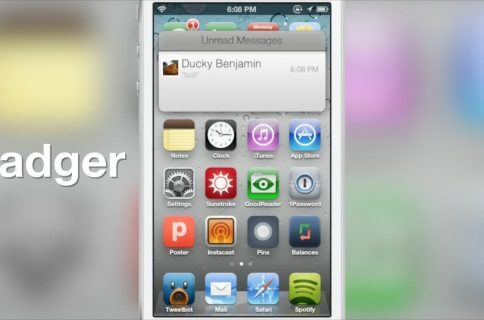 You can find Confero for $1.50 on the BigBoss repo. What do you think?